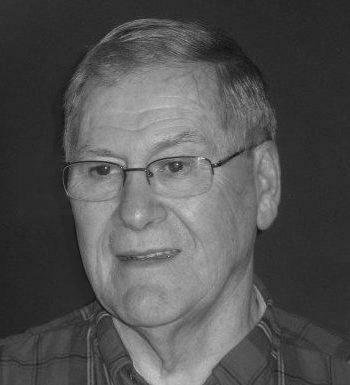 Passed peacefully away, surrounded by his loving family, at the Health Sciences Centre, on Saturday, July 21, 2018, John Rowe Sheppard, aged 82 years. Predeceased by his wife Irene, his parents Harry and Annie Sheppard, parents-in-law Thomas and Priscilla Drover, infant grandson Matthew, sister Eleanor Smith (Max, deceased), infant brother Mark, infant sister Jessie, brothers-in-law Eric Giles and Edwin Drover, and special niece Marjorie Mercer. Leaving with loving memories: his sons Brad, John (Christine); daughters Michèle (Robert Cashin), Wendy (Brian Scammell), Heather (Keith Predham), Jacqueline (Jackie) (Alvin Osmond); grandchildren John, Laura, John, Jennifer, Adam, Ian, Andrew, Kathleen, Claire, Emma, Aidan; brothers-in-law Albert Drover (Marie), Aidan Drover (Ann), Aubrey Drover (Beverley); sisters-in-law Regina Drover, Linda Giles, Joan (John Lane), Mary (Neil French), Mildred (Derick Guzzwell), Brenda Drover; and many nieces, nephews, relatives and friends. The family would like to thank Dr. Harvey, the staff at the Health Sciences Centre Urology Unit, and the staff of the ICU for their care and support. Visitation to take place at Carnell’s Funeral Home, Freshwater Road on Monday, July 23 from 2 – 9 p.m., and Tuesday, July 24 from 11 a.m. – 9 p.m. Funeral service to take place at St. Thomas’ Anglican Church, Military Road, on Wednesday, July 25 at 2:00 p.m., with interment to follow at the Anglican Cemetery on Kenmount Road. Flowers gratefully accepted or donations may be made to Diabetes Canada or St. Thomas’ Anglican Church. To the Sheppard family, my most sincere condolences. I know how close you all are and I’m sure you will lean on each other during this sad time. Wendy, Michele, Heather, Jackie, John, Brad and families. We are so sorry to hear the loss of your dear Father. Judy and I both have fond memories of him and his great sense of humour. He was a wonderful person which is demonstrated in the raising of his remarkable children. Sorry to learn of your Dad’s passing. Thinking of you at this time and sending our deepest condolences. Michele, Rob and Sheppard family, so sorry to hear of your loss and want to pass along our sincerest condolences. We were so sorry to here about the passing of your Grandfather and Father. Our family is thinking about you during this trying time. Sincerest condolances on the passing of your father. I am deeply saddened to hear the loss of your Father/Grandfather; I know he meant a lot to all of you! My thoughts and prayers are with the entire family during these difficult times. Sorry to hear about your loss. Our sincere condolences. Hard to think of a more positive, vibrant soul to be around. Thinking of you all at this time, lots of love. Thinking of you all and wishing you moments of peace and comfort as you remember your father, the good and generous man that he was. We feel so lucky that we got to know him. He will be missed! Very sorry to hear that John passed away. He was a great person , we spent many a summer camping on Prince Edward Island and Butte-pot park along with all the kids, his and mine. May he rest in peace. So very sorry for your loss. He was a great man indeed. Our sincere condolences at this time. so sorry to hear the new,s about Mr Sheppard,my deepest sympathy go out to all the family,my thought’s and prayers are with you all,i feel blessed to have know this awesome man ,R.I.P. MR SHEPPARD. John and family , so sorry for your loss, Your father was such a pleasure to always see. Kay & I offer our deepest condolences to The Sheppard Family as well as the Drovers,another fine human being leaves us too soon!! We were surprised & saddened to learn of John’s passing. He represented everything good in this life and enhanced all those who called him a friend. His immediate & extended families will carry forward the legacy he created & keep his memories forever in their hearts & thoughts. He is in a better place and finally reunited with the love of his life, Irene.